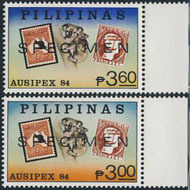 15179 SPE PHILIPPINES (1976) West Indien artifacts*. Set of 4 overprinted SPECIMEN. Scott Nos 479-81, Yvert Nos 454-7. 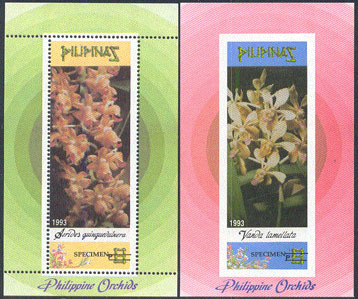 1360 SPE PHILIPPINES (1993) Orchids*. 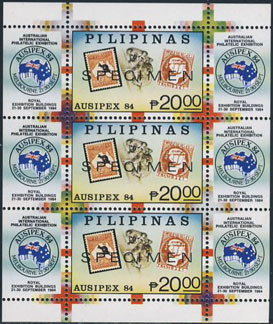 Set of 2 S/S (one perf and one imperf) overprinted SPECIMEN. Scott Nos 2246-7. 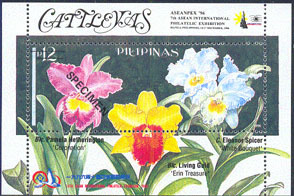 1370 SPE PHILIPPINES (1996) Orchids*. S/S overprinted SPECIMEN. Scott No 2436.